As much as we love the clean lines of a Streamline Moderne or Midcentury mod home, we have a small soft spot for a fussy, overly ornate Victorian. And it looks like a kindly grandmother knitting in a rocking chair should come with the home. 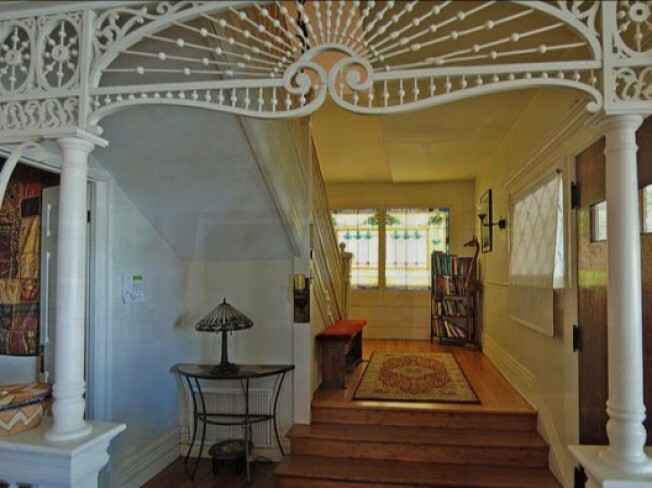 According to the listing, the 1906 four-bedroom, three-bath house (it's 2,719 square feet) in West Adams has been restored with a "gingerbread design, wood floors, stained glass windows, gorgeous wood paneling, eat in kitchen, spacious room size & scale, [and] updated central AC." Last sale was in May 2003 for $410,000. Today's asking price: $569,000 or $209 a square foot.